The Solution Series was created from the requests of architects and space designers looking for a rounded more attractive look to laboratory furniture and work spaces. As part of our Solution Series, the Gemini system is a completely flexible laboratory furniture solution. What makes this workstation flexible is the quick connect fittings for easy installation and adjusting, and vast array of sizes, options, and configurations available. 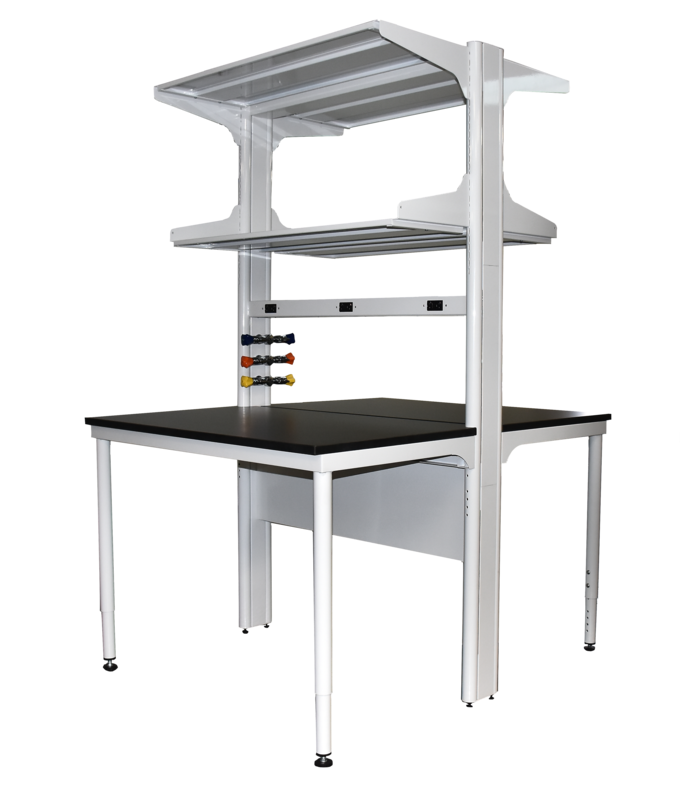 As flexible laboratory furniture the Gemini System can be configured as single or double sided with an incredible number of options in counter top, shelving, services, and cabinets. This system is easily interchangeable in so many variations it is perfectly suited for new and renovation projected. This flexible work station will stay with your laboratory for years to come and evolve with the changing needs of your lab. Click the right corner of PDF to download.